Soy is quite a controversial and sometimes touchy subject when it comes to Parrot care givers. In the past soy has been claimed to cause feather picking and allergies. 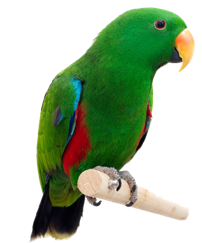 Some Eclectus parrots are food sensitive while others can eat anything offered with no bad reactions. 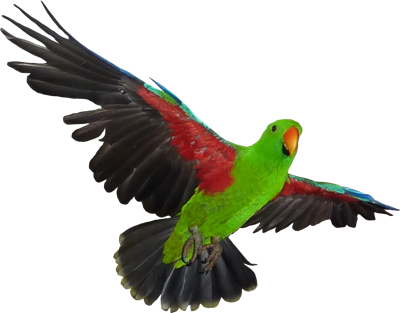 If you're responsible with the amount of soy offered to your Eclectus, then there is very little chance you will encounter these sort of health problems. Today however there is a great deal of new studies and evidence found that suggest the soy toxins can cause acute and chronic effects in both animals and humans. This is known as 'anti-nutrients'. They are also classed with environmental toxins which are present in every food product that contains soy. Studies in New Zealand have seen soy and soy products to cause premature maturation, beak and bone deformities, immune system disorder. So it is simply no longer classed as something as simple as an allergy to a bird, it is much more than this. 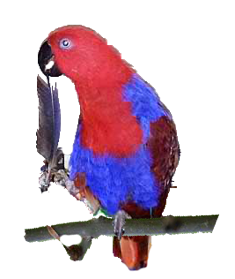 Soy is not a necessity to your parrots diet, there are many other fresh, raw foods that you can use in place of soy. Soy is, in my opinion, a food your bird can go without.